Situational awareness is more than just paying attention to what is going on around you, though that is an important start. It means both knowing what to look for, and how to assess (make decisions about) your surroundings. The end goal for situational awareness is correct action. The bridge from simply paying attention to taking correct action is the OODA-Loop. OODA Loop is an acronym for Observe, Orient, Decide, and Act. The Loop aspect is that one should be constantly looping through OODA since situations and circumstances change constantly. Credit for the OODA Loop goes to military strategist John Boyd. More on the OODA Loop later in this article. Scott Stewart of Statfor.com defines situational awareness as "being aware of one's surroundings and identifying potential threats and dangerous situations." That is an okay definition as for as it goes, but is primarily limited to immediate (in both time and location), physical and external threats, and it doesn't talk about the end goal of correct action. A better definition of situational awareness should incorporate the concept of "environmental scanning" from the business world (especially public relations). BusinessDictionary.com defines environmental scanning as "careful monitoring of an organization's internal and external environments for detecting early signs of opportunities and threats that may influence its current and future plans." This definition looks for opportunities as well as threats. It expands the scope beyond the immediate, to include developing trends that may lead to future threats and opportunities. It includes not just danger from physical threats, but other threats (political, financial, etc.) as well. Finally, it adds the idea of not just looking at the external situation, but also the internal situation. Original diagram by John Boyd. This graphic by Patrick Edwin Moran, used under the Creative Commons Attribution 3.0 Unported license. Observe: Paying attention to the environment in which we are operating, noting potential threats and opportunities, in order to quickly gain the knowledge and understanding we need for decision making. Key concept: Observing should be continual, as our environment is constantly changing. Orient: The orient phase is where you apply your mental models to what you observe, in order to arrive at your understanding of your situation. Mental models are the way we understand the world; the system by which we think. This is perhaps the most complex, and critical, part of the OODA Loop. According to Boyd, it is not the one with the most information that wins, but rather it is the one with the best understanding of the information they have that wins. Economist Richard J. Maybury explains models this way: "As we go through life, we build these very complex pictures in our minds of how the world works, and we are constantly referring back to them - matching incoming data against our models. That's how we make sense of things." Many things contribute to the models we use - our family influences, cultural heritage, religious beliefs, education, training, personal experiences, and so forth. The key to orienting our understanding is to develop many mental models and to constantly refine or improve those models in a process Boyd calls "destructive deduction" - the examining, tearing apart, and rebuilding of those models. This process leads to improving your judgement. Decide - In the decision phase of the OODA Loop, you determine your best course of action based on your your judgement (using your mental models) of your observations. For example, you might decide to continue walking down the street because you observe no potential dangers. Or you may decide to cross over to the other side or even go back based on your judgement that the two thuggish-looking men eyeing you as you approach are potentially dangerous. Act - In the action phase, you do something (take an action) based on the decision you made using your judgment of your observations. That action may be continuing to do what you were doing, or it mifght mean taking a new or different action. This last phase of the OODA Loop is not the final phase (remember, the concept is OODA Loop, meaning you constantly loop through the phases). You may need to adjust your action based on changing circumstances. For example, when you cross the street to avoid those two thuggish-looking men, you may need to immediately take another action if they then cross the street, too, in order to intercept your path. In order to emphasize the constant looping nature of the OODA Loop, Boyd would write "hypothesis" beside "Decision," and "test" beside "Act." Every decision is really your hypothesis of what is the best decision in a particular situation, and every action is really a test of that decision. Situational awareness is an attitude - a mindset. It is something you need to consciously do on a continuous basis as you go about your normal day-to-day activities. Make it a habit. Realize that you need to be aware of your surroundings everywhere you go. Don't let your guard down just because you are somewhere you feel safe. Bad things don't just happen in bad neighborhoods, but can happen in good neighborhoods as well. Know what is "normal" for where you are and what's going on around you (knowing what is "normal" is a mental model). Pay close attention to anything that is outside the expected normal. Observe what is going own around you, and evaluate it against what you would expect to be happening (your models). Part of observing is being able to actually see what is going own. Physically position yourself to be able to see what is happening around you. This means seating with your back to a wall rather than turning your back on the room. It means seating where you can observe doors and windows. It means parking in a well-light, highly visible spot. It means avoiding dark alleys. Don't get so focused on something that you tune out everything else going on around you. This is sometimes called focus-lock. Avoid so locking your focus on your smart phone, a conversation, the attractive lady in a mini-skirt that just walked by, or anything else to the point you aren't paying attention to anything else. There are two types of situational awareness - the micro and the macro. Both are should be practiced. Micro looks at your immediate surroundings (your neighborhood, your workplace, the store you're in, the people around you, the parking lot, the road you're driving on, and so forth). Macro looks at the bigger picture, such as local, regional, national and international events that may affect you in some way. Micro: As you go about your day, maintain awareness of your physical surroundings. This is the people and activity where you are at the moment. Don't get so involved with your smart phone or anything else that you ignore what is going on around you. Stay aware of your immediate surroundings and any potential risks and threats. Are you parking in a highly visible, well-light location near the entrance to minimize chances of ambush & muggings? Pay attention to the people around you and what they are doing. Is anyone acting suspicious or nervous? Is anyone loitering, or otherwise looks out-of-place? Are you making yourself a target by wearing expensive, flashy clothes & accessories, or driving an expensive car? Before getting out of a car or walking out of a building, do you look out a window first to identify possible dangers? Macro: Stay informed of the news (local, national, global). Know your elected officials in Washington, and keep up with what they are doing. Especially pay attention to the flow of money - who are their donors?, who benefits from their efforts?, how are they spending your money? How will any pending legislation affect you? Same goes for your elected officials on the state and local level. Know your community and how it works: Who are its local politicians, important bureaucrats, community leaders? What are the local power & water sources? How well do you know the roads in and around your community? (hint: you shouldn't need GPS or google maps to find your way around where you live without getting lost.) Do you know the "bad areas" of town to avoid? Pay close attention to economic and business news. How well is your company and industry doing? (Layoffs are never really a surprise to those paying close attention.) Do you know how safe & stable your bank and insurance companies are? Pay attention to their bottom lines and management shake-ups to avoid nasty surprises. When looking for future threats, ask yourself: How might it affect me? For example, if you hear about a new shopping center to be built near your neighborhood, ask How will that new shopping center affect me? Answers might be positive - such as shorter shopping trips, more employment opportunities, and increased home value. And, the answers might be negative, such as more traffic, higher crime, or more pollution. Think about how the actions of the local government, such as annexations and changes in zoning laws, might affect you. Also, consider the how changing economic conditions in your area might affect you. A local factory closing and laying off 100s of people might affect you in many ways, even if you don't work there. Think through how the actions of others (government, businesses, people) might affect you. We mostly think of threats coming from outside, but often threats come from within ourselves. How is your health - physical and emotional? Are you gaining weight? Losing fitness? Developing health problems? Developing addictions or bad habits? Notice your eyesight getting worse? Are you maintaining your current job skills? Are you learning the new job skills you need? Are you sinking into credit card debt? When is the last time your went to the gun range? Are you as good a shot as you used to be? When is the last time you had a first aid refresher course? Situational awareness needs to include an honest appraisal of yourself. Don't forget about your stuff. Be aware of any developing problems with your home or vehicle. Are you going to need a new roof anytime soon? Are the batteries in your smoke detector getting weak? Are your car's brakes starting to squeak? More than great exercise, or a fun way to spend a day off, hiking is an opportunity to develop a multitude of survival skills. Back in the day, I was a Boy Scout (Troop 54 in Bessemer City, NC). Regrettably, I lacked the personal discipline to work my way up to Eagle Scout. I only made it to Star, which is two ranks below Eagle. Really, I just wanted in on the fun of camping and hiking. I still enjoy hiking today. Its fun, relaxing, and a great way to stay physically fit. Many preppers and survivalists enjoy hiking for the same reasons. Many also see it as good practice for bugging out. But hiking can be more than just a fun way to stay fit. Did you know that there are different kinds of hikes, each teaching different sets of skills? Dusting off my old Boy Scout Handbook, my memory, and my imagination, here are some different types of hikes you may want to incorporate into your prepping to not only improve your fitness, but to expand your knowledge and skill sets. The Day Hike - This is the regular hike that jumps to most folk's mind whenever someone mentions hiking. Great for stress relief and physical fitness. The BoB Hike - Go hiking while wearing your fully-loaded bug-out bag. This is the best way to check the weight, comfort, and durability of your bug-out bag. 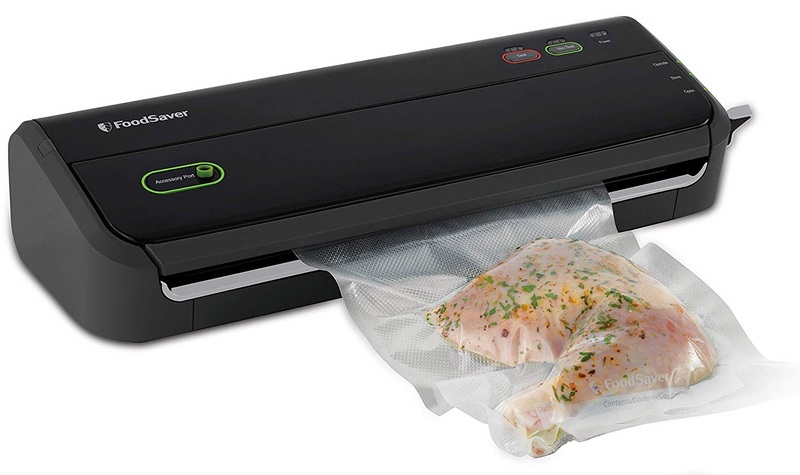 Afterwards, you may want to make some adjustments (such as lightening the load). Then go on another BoB hike to test it again. The Town Hike - Live in a small town (or even a city)? Hike around town on the sidewalks (avoid unsafe areas, of course). Not only will you reap the benefits of exercise, but you will learn more about the layout of your town, its landmarks, and all the stuff in it. You'll be surprised what you missed while whizzing by in your car and may discover all sorts of things you didn't realize were there. The Night Hike - Go hiking at night. Try to be as quiet as possible and use minimal artificial light. You can pretend to be trying to escape detection by a horde of zombies, or a horde of DHS agents. This is a more expert hike, so get some hiking experience first, be familiar with the area, and make sure each hiker has a flashlight and whistle in case they get separated. Remember, this is a practice hike and zombies aren't really after you, so don't take foolish risks! The Naturalists' Hike - Have each member of your group take a different field guide - birds, trees, mammals, reptiles, wildflowers, whatever - and see how much you can identify. This is a great way to learn about the plants and animals in your area. 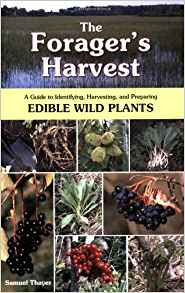 The Edible Plants Hike - Take a couple of good field guides on edible plants in your area, and see what you can find. Please be careful. 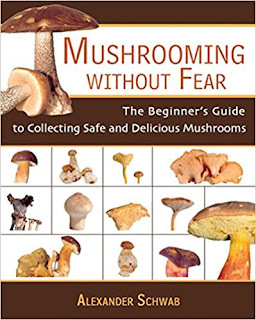 Edible wild plants (and especially edible mushrooms) can be hard to tell apart from dangerous ones. (Two of my favorite field guides to wild edibles are shown at the end of this article.) It would be great to hike with an expert! The Scavenger Hunt - This could be a variation of the naturalists' hike. Create a list of things to find on the hike (a maple tree, a blue jay, a robin, a rabbit, raccoon tracks, deer tracks, poison ivy, etc.) and check off the items as you see them. A fun way to learn about nature and get some exercise at the same time. The scavenger hunt could also be done in a town or city using wildlife common in town, as well as landmarks (an antique shop, a salvage store, a graveyard, a church, a fire station, a barber shop pole, an historical marker, a library, etc.). A great way to learn more about your town. The Tracking Hike - There are a couple of variations on this one. For wildlife tracking, simply see how many different tracks you can find and identify. Or, for tracking people, have someone hike ahead leaving a trail, and see if you can follow them. The Lost-Child Hike - A child-size doll is planted somewhere in a park or wilderness area before the hike. The purpose of the hike is to find the doll. A great way to learn about search-and-rescue. Orienteering - Use this hike to develop compass and map reading skills. Can you navigate from point A to point B? After mastering orienteering with a map and compass, try orienteering at night. Or learn methods to navigate without a compass, such as the North Star Method, Shadowless Stick Method, Equal-Length-Shadow Method, and the Watch Method. 1) Always check with your doctor before starting any exercise program. 2) Never hike alone. Always let others know where you are hiking and when to expect you back. 3) At least one person in the group should be familiar with where you are hiking. 4) Always wear appropriate shoes and clothing for the terrain and climate. 5) Each hiker should have a whistle and a flashlight in case they get separated from the group. 6) Each hiker should carry water and a small first aid kit with them at all times. 7) Be responsible: don't litter, be careful with fire, follow the rules, respect private property. 1- When traveling long distances or short, it is best to let someone know where you are going, what route you plan to take, and when you expect to arrive or come back. That way, if something goes wrong, folks can more quickly realize you have "gone missing" and have some idea where to start looking for you. 2- Be sure to keep your cell phone charged, and keep a phone charger in your vehicle. 3- Keep your vehicle in good repair. Perform all routine maintenance on a regular basis. Make sure your tires and brakes are in good condition, and all your headlights, taillights and directional signals are working. Drive safely, and practice defensive driving. Pay attention to the road. Don't drive distracted (no talking on a cell phone or texting while driving). Doing these things will make you less likely to get in a wreck, break down, or get a ticket. It will also mean your bug-out vehicle will be ready when you really need it to be. 4- Keep your gas tank topped off. I rarely let mine drop to even the halfway mark. It is also a good idea to keep some gas safely stored at home. I keep five 5-gallon gas cans safely stored on my property away from my house. Remember to keep your gas fresh by rotating every few months. 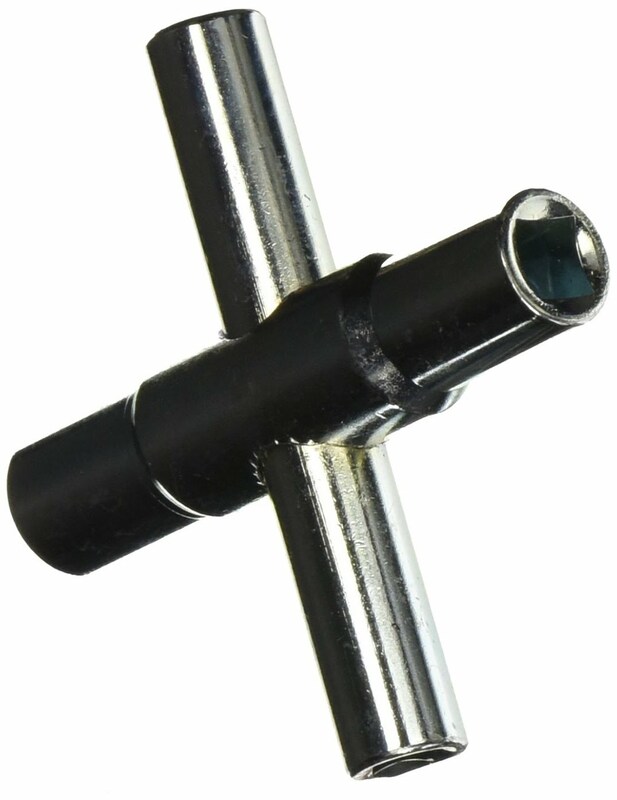 Consider getting a portable fuel filter, for reasons I outlined in a recent article. 5- Keep a pair of jumper cables and/or a car battery charger in your vehicle. Make sure all drivers in your family know how to use them. 6- Make sure you have a good spare tire in your vehicle, along with all tools you need with it. Make sure all drivers know how to change a flat tire. There's a great commercial that used to run on TV, showing a teenage girl by herself changing a tire on her car in an empty parking lot at night. The camera then swings back showing Dad standing twenty feet away watching, not helping or doing it for her. Be that Dad. 7- Consider a can of Fix-a-Flat for quick use in an emergency. Fix-a-Flat is NOT a long-term fix, and can actually damage your tire and rim if used for an extended period. It may also void your warranty if the tire is still under warranty. But, better a damaged tire and voided warranty, than getting stuck in a bad neighborhood/situation. 8- All drivers should know how to check the oil level, and how to add extra oil if needed. Same for transmission fluid, brake fluid, engine coolant, and other fluids. 9- Its a good idea to always keep an overnight bag packed and ready to go at a moments notice in case you ever need to evacuate your home on short notice (approaching wildfire, nearby chemical spill, and so on). Peppers and survivalists typically call this "bugging out" and put together "bug out bags" that can be quite extensive. Non-preppers should at least pack a change of clothes, personal hygiene items (toothbrush, toothpaste, deodorant, etc. ), some snack food (possibilities: packs of seeds & nuts, peanut butter crackers, energy/protein bars), and a couple of bottles of water for each person. Other items you might consider: a small first aid kit, a compact emergency survival kit (see my article on putting one together), a good blanket, a road map of your area, a three-day supply of any prescription medications. an extra pair of eyeglasses, and a good multi-tool. 10- If your typical footwear is dress shoes, high heels, sandals, or flip-flops, I suggest you keep a pair of more practical athletic shoes or hiking boots in you vehicle, for when you need them. 11- Maps, a road atlas, and written directions to possible destinations in an emergency (Grandma's house, Uncle Fred's place, etc.) are a good idea. Smart phones, Google maps, and GPS may be temporarily (or permanently) down. 12- Here's an idea many folks haven't thought of: keep a 4-way sillcock key in your vehicles and bug-out bags. They are small and inexpensive, so get one for each vehicle and BoB. 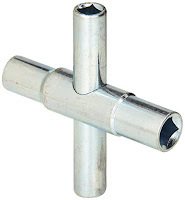 Sillcock keys are used to open water spigots on commercial buildings, and at parks & golf courses. Get access to water that you otherwise wouldn't be able to get. 13- Always practice situational awareness when you are on the go. Watch what is going on around you and be aware of possible problems and threats. Be wary of people who look out-of-place, are loitering, or who act nervous. Before getting out of a car or walking out of a building, look out a window first to identify possible dangers.Park in well-light, highly visible areas. 14- Avoid dangerous neighborhoods and sections of town. Travel, walk, shop in groups. Park in a highly visible, well-light location near the entrance to minimize chances of ambush & muggings. Don't make yourself a target by wearing expensive, flashy clothes & accessories, or driving an expensive luxury car. Don't make yourself a target by appearing easy-prey - instead wear practical clothes, and walk confidently, head up. Here are some ideas and tips for getting your children prepared for emergencies. Children do have to face dangers and emergencies in life, sometimes when their parents are not around. You are NOT protecting your child by trying to hide this uncomfortable truth from him or her. Children do mature, both physically and emotionally, at different rates. You will have to take their individual age, maturity, and abilities into account when helping them prepare for emergencies. 1) All children should learn their full name, address, phone number, and parents' full names as soon as possible, well before kindergarten. My mother taught primary grades (k-3) and was constantly surprised by the number of her students each year who didn't know this basic information. 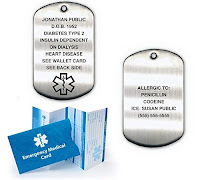 2) Seriously consider getting your children "dog tags" to wear with their name, address, and parent's name and contact info, along with blood type, allergies, and any other important medical info. Dog tags work better than ID bracelets, in my opinion, because you can include a lot more information on a dog tag. Its also hard to find bracelets small enough to not easily slip off a small child's wrist. 3) All children should learn how to call 911 in an emergency. 4) Teach your children basic safety rules. Teach them about "stranger danger," to not open the door for people they don't know, and to not tell people over the phone that Mommy and Daddy aren't home. Teach them not to play with matches, guns, or knives, and to not run with scissors. Children, especially young children, really do need these reminders often. 5) Children should start learning first aid early on. I remember being taught basic first aid in school when we were in fourth grade. There's no reason whey we couldn't have started learning the basics even earlier. 6) Teach your children to make health and fitness a part of their lives. Teach them to eat healthy and to be physically active. Limit their screen time (TV, computer, gaming system, etc. ), and make them spend some time outdoors. Better yet, teach by example. Activities such as walking, hiking, biking, camping, fishing, and gardening, can be dome as a family. 7) Scouting and 4-H clubs are great ways to help kids prepare. They will be active, learn new skills, build character, and learn self-reliance. 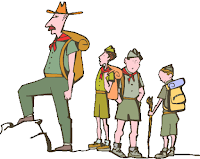 Concerned about the Boy Scouts or Girl Scouts moving away from traditional values? 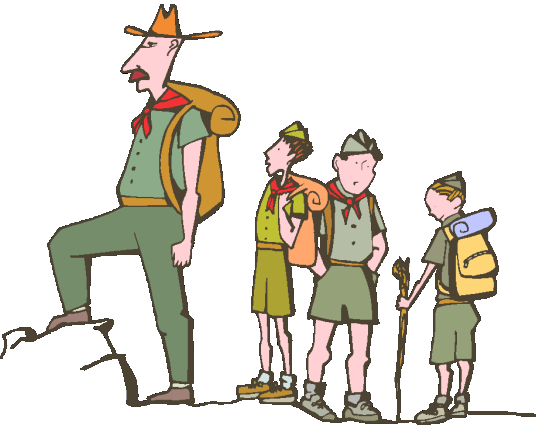 It mainly depends upon the leadership of your local scout troop, so get to know the troop leaders. Or, consider Trail Life USA and American Heritage Girls as Christ-centered alternatives. 8) Teach your children gun safety. 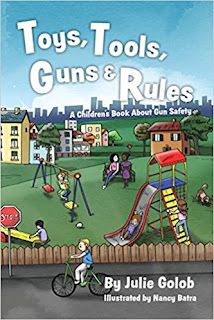 Two resources are the Eddie Eagle GunSafe Club (by the NRA) and the recently-released book Toys, Tools, Guns & Rules: A Children's Book About Gun Safety. Remember, it is your responsibility to get your children prepared for whatever the future may hold. It is not the responsibility of government, the schools, or even your local church. It is your responsibility. I was just made aware of this book today, which came out last week. I STRONGLY believe in the topic and want to make as many people aware of it as possible. Many - probably most - folks reading my website have guns. many also have children, grandchildren, or nieces & nephews. Guns are fantastic tools for self-defense and hunting. But, like many other types of tools, guns can be deadly dangerous if handled improperly. People, especially children, should learn gun safety. ***Yes. 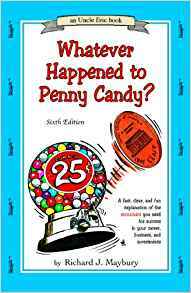 I am an Amazon affiliate, and if you purchase a copy of this book (or anything else) through a link on this website, I will make a (very small) commission, which is paid to me by Amazon, and costs you nothing (its the same price regardless). 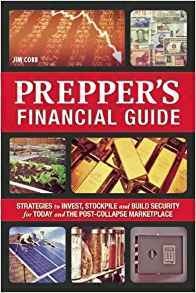 Many preppers and survivalists are preparing for major long-term emergencies, such as economic collapse or political turmoil, civil unrest, war, plague outbreaks, or EMP events. But we must not forget about the smaller, everyday emergencies like house fires, bad weather events, temporary power outages, car or appliance breakdowns, sickness, household accidents, and other bad events that don't quite add up to the Apocalypse. Here are some ideas for preparing for those smaller, less Earth-shattering, but more frequent emergencies. Frankly, all preppers and survivalist should be doing these things before preparing for the Zombie Apocalypse. 1- Every household should have an emergency fund. A recent study found that almost half of all Americans cannot come up with $400 in an emergency without borrowing the money, using a credit card, or selling/pawning something. This is not a good situation. Do whatever it takes to build an emergency fund - hold a yard sale, sell that exercise machine you don't use, sell that ATV or other expensive toy that you don't really need, brown bag your lunch for the next few months, downsize your cable TV package, work extra hours or get a second job... Aim for an emergency fund of at least $1000, and slowly work up to at least six months worth of expenses (or more). 2- Have some cash on hand. The bank may be closed (weekend or holiday) when you need the cash, and ATMs don't work when the power is out. I suggest finding a really good hiding space in your home to stash $300 or $400. If you can't do that, start with what you can and work your way up. 3- Make sure everyone in your household is aware of what to do in case of a fire. They should know at least two escape routes. Hold a practice fire drill every few months, especially if you have small children. 4- Make sure everyone knows, especially younger kids, how to call 911 in an emergency. 5- Every home & apartment should have at least one working smoke detector. It should be battery-powered not hard-wired. Make sure the batteries are fresh! 6- Every home & apartment should have at least one Fire Extinguisher. Be sure everyone in your home knows where it is and how to use it. A possible alternative, back-up, or supplement to the traditional fire extinguisher is the Fire Gone Extinguishers. These are smaller, less expensive, very easy-to-use, and easier to clean-up (and they work on class A, B, and C fires). 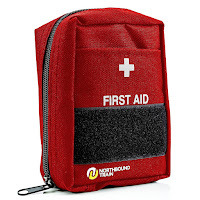 7- Have a good First Aid Kit in your home (rather than just having random supplies scattered about your house). Make sure everyone knows where it is and how to use it. A good first aid handbook is useful, but all adults and all children of school age should take a first aid/CPR course. 8- Have a bright LED Flashlight, and extra batteries. Several are better than one. Consider keeping a flashlight in each major room of your house. 11- Do a home safety inspection. Walk around every room of your home, looking for potential problems, such as clutter that can cause falls, fire hazards such as frayed electrical cords, and poison & other chemicals that are unmarked or easily accessible by children. Make sure all knives, guns, matches, lighters, etc., are secured from young children. Walk around you property and all outbuildings doing the same thing. Most scouts learn to do these safety inspections as part of earning various merit badges and skill awards, so if you know a scout, have them do it for you! 12- If you have guns, please teach your children gun safety. The NRA has gun safety programs for all ages, including young kids. 13- Be sure to talk to the children in your house about basic safety rules, such as not answering the door for strangers, not telling anyone over the phone that Mommy and Daddy aren't home, not touching Daddy's guns, knives, or tools, not running with scissors or playing with matches, and so on. Kids, especially young kids, really do need these reminders often. 14- You may also want to check out my article Workshop and DIY Safety. Preppers and survivalists seem to spend a lot of time talking about "bugging-out." Bug-out bags and bug-out vehicles are popular topics of conversation, articles, videos, and even books. This can be frustrating for many folks who feel that they have nowhere to bug-out to, asking in exasperated tones "But, bug-out to where, exactly???" I want to try to answer that question in this article, but first let me say that bugging-out should not be your Plan A. The best advice for most people in most situations is to stay put. Bug-in (hunker down) where you are, unless and until it becomes too dangerous to do so. You don't want to face the open road during a highly chaotic and dangerous time unless you absolutely have to. Bugging-out is a measure of last resort. Also, consider that a bug-out location isn't necessarily somewhere you'll move to permanently. You may only need it for a few days or a few weeks. If you live in an inherently dangerous area that you know you will have to escape from during a crisis, then you shouldn't be living there now. Figure out a way to move, no ,matter what the sacrifice. You don't have to move to your ideal isolated homestead right away. A small town away from the big cities will be far safer then your current location. 1) Your own property. The ideal bug-out location, of course, is a piece of property you already own, be it a fully set-up rural homestead, a mountain cabin, or even just a couple acres of raw land in the country. Problem is, most folks don't have a lot of extra money to purchase a second piece of property "just-in-case." However, I will say that a few acres of raw land in a truly rural area can still be purchased for only a few thousand dollars. Used campers can be had for under $1,000, particularly if you are willing to do a little repair work yourself and aren't too concerned with its cosmetic appearance. So, it is possible to secure yourself a bug-out location in a rural area for under $10,000. It won't be luxury living, but it will be living. 2) A Relative's or Friend's Place. Maybe your Uncle George has a fishing cabin in the mountains. Or Great Aunt Ida lives alone in that huge old house on the outskirts of a small town in the Ozarks. Or Cousin Eddie has a small farm in Kentucky. Talk to them about using their place as a bug-out location. 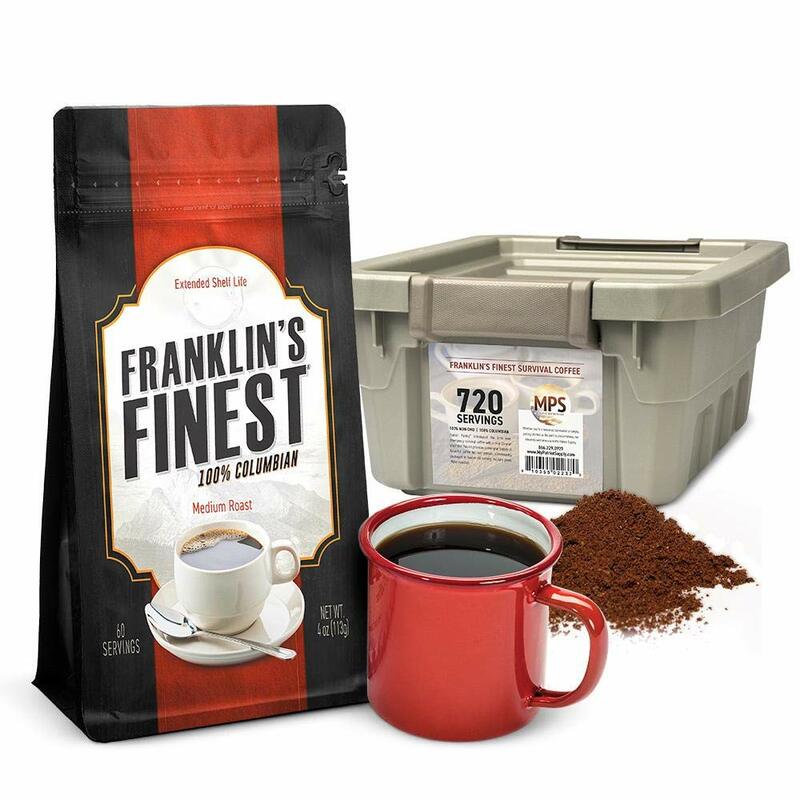 You could even stockpile some food, clothes, and other supplies there ahead of time. You don't have to move into the house with them. Perhaps you could park a camper or RV in their driveway or backyard. It can be difficult relying to family at times, as pride, ego, jealousy, and hurt feelings often get in the way. Put aside those petty family squabbles. Besides, Great Aunt Ida is a lonely old lady who will need someone when the SHTF, and Cousin Eddie could always use some extra hands on the farm. 3) Hook up with an established prepper community, or mutual assistance group (MAG) that already has a bug-out location. This will be difficult, but they do exist.. You'll have to find them, meet them, earn their trust, and become a part of the group. And remember: their group, their land, their rules. This option will take time and effort, so start now. Frequent prepper and survivalist forums and websites, go to meet-ups, attend trade shows, takes classes, and do whatever else it takes to meet like-minded folks. Let it be known that you're looking for a group to join, but don't be pushy or obnoxious about it. You'll have to meet a lot of folks, and befriend a lot of folks, and slowly earn your way into a group. 4) Create a MAG of your own. The group can then go in together to purchase a few acres that could be a mutual bug-out location. This, too, will take effort and time to find the right people, and then to hash out the rules, but it can be done. I'm aware of three families (two brothers and a cousin) who joined together to purchase a small farm that was for sale in the Appalachian Mountains of Tennessee. Two of the families now live there full time, with the third family spending most weekends and vacation time on the property working the farm. This arrangement has worked for them for almost 15 years now. 5) A church retreat. This is an idea that might work best for a small, tightly-knit church of like-minded folks. Have the church buy some land in a rural area. It can be "officially" for use as a church campground or retreat, and unofficially as a potential bug-out location for church members. A number of churches in my area have such campgrounds or retreats, sometimes individually, or in conjunction with other churches. These church campgrounds could easily be pressed into use as bug-out locations. 6) National or State Parks. Many national or state parks have camping areas. Some have cabins. Some have RV or camper spaces. At others, you will have to hike in with tents. All these could be used as temporary bug-out locations. I've even heard rumors that some survivalists have buried caches of food and supplies near their favorite spots for use when the SHTF. You'll need to scout out locations ahead of time, but these are an option for those who have no other options. 7) For profit campgrounds. National and state parks aren't the only camping option. There are lots of for-profit campgrounds around the country, offering everything form cabins, to RV and camper hook-ups, to primitive camping. Decide on a general area (or areas) you may want to bug-out to, then start looking for campgrounds. Estimates are that over 14 million people worldwide develop one of over 100 different forms of cancer each year. There are about 8 million deaths from cancer each year. Most of us know family or friends who have developed cancer at some point in their life. The worldwide economic impact of cancer has been estimated at over $1.5 trillion dollars each year. So, what can we do to reduce our chances of getting cancer? Studies have concluded that as much as 22% of all cancers are related to the use of tobacco in various forms. So, the first rule in avoiding cancer is DO NOT USE TOBACCO in any form. Other factors to reduce the risk of developing cancer include eating a healthy diet (plenty of fresh fruits and vegetables), being physically active, maintaining a healthy weight, and getting adequate sleep on a consistent basis. For help quitting smoking, see the American Cancer Association's online Guide to Quitting Smoking. Cruciferous vegetables and leafy greens - broccoli, cauliflower, cabbage, Brussels sprouts, bok choy, Chinese cabbage, radishes, rutabagas, kohlrabi, kale, turnip greens & roots, mustard greens, collard greens, swiss chard, spinach, and watercress - contain high amounts of antioxidants and phytochemicals, including glucosinolates, thought to prevent or inhibit the growth of cancer cells. Berries and grapes - strawberries, blueberries, blackberries, raspberries, and red/purple grapes (their bioflavonoids are concentrated in the skins, which give them their color - white, green, or yellow grapes have much less of these compounds). Citrus fruits - oranges, tangerines, grapefruits, lemons, and limes - are high in vitamins, bioflavonoids, and other phytochemicals that guard against cancer. Bright orange/yellow foods - oranges, tangerines, summer squash, pumpkins, sweet potatoes, and carrots are high in carotenoids (alpha-carotene, beta-carotene, lycopene, lutein, zeaxanthin, cryptoxanthin). Carotenoids are "essential nutrients for immune functioning; detoxification; liver health; and fighting cancers of the skin, eyes and organs" according to Dr. Josh Axe. Teas - all teas (black, green, white, oolong) contain antioxidants called catechins, which may inhibit cancer cells. Avoid adding sugar to your tea. Fatty fishes (includes salmon, tuna, trout, herring, sardines, and mackerel) should be consumed 2 - 4 times a week for their omega-3s. High fiber foods, such as legumes (beans, peas, peanuts) and whole grains, have been shown in various studies to reduce the risk of certain cancers. Tips to add more fiber to your diet: replace white rice with brown rice or wild rice, replace white bread with whole grain bread, replace white potatoes with sweet potatoes, replace potato chips with popcorn, replace regular cereals with 100% whole grain cereals or oatmeal, and when consuming fruits such as apples, plums, or pears, be sure to eat the skins. Other foods, herbs, spices: Asian mushrooms, tomatoes, celery, parsley, basil, turmeric, curcumin, garlic, onions, leeks, sweet potatoes, watermelon, cantaloupe, fennel, cumin, ginger, oregano, cayenne peppers, chilli peppers, saffron, cinnamon, and avocados, are all highly nutritious and contain anti-cancer compounds. Important tip: Dr. K Medhi (Oncologist) recommends that cancer-patients do not use turmeric or curcumin supplements without consulting with their doctor, as these supplements may interact negatively with certain cancer medications. Maitake (Grifola frondosa). This delicious mushroom provides anti-cancer, anti-viral and immune-enhancing properties, and may also reduce blood pressure and help regulate blood sugar. Find it dried or fresh in Japanese markets, gourmet stores or upscale supermarkets. Shiitake (Lentinula edodes). The shiitake has been found to have immune modulating, anti-viral and cholesterol-reducing properties. Certain extracts of shiitake mushrooms are used in Japan as adjunctive therapy to strengthen the immunity of cancer patients during chemotherapy and radiation. Find it - fresh or dried - in grocery stores and Asian markets. Agaricus (Agaricus blazei). This medicinal mushroom has anti-tumor and anti-viral activity, and is widely used by cancer patients in Japan and Brazil. You can get it as a culture or in extract form from Fungi Perfecti: visit www.fungi.com. Reishi (Ganoderma lucidum). Too woody and bitter to eat, reishi mushrooms are available in tea bags, capsules and liquid extracts. Animal studies have shown that reishi improves immune function and inhibits the growth of some malignant tumors. It also acts as a natural anti-inflammatory agent. Maintain a healthy weight/body mass index. Being overweight does increase an individuals risk of cancer (as well as Type II diabetes, high blood pressure, heart disease, and a variety of other medical conditions). No amount of "positive body image" will change that. Being overweight is unhealthy. Discuss with your doctor what is the optimum healthy weight/body mass index for you. Be physically active. The modern sedentary lifestyle, with most of our time sitting sitting (at work, commuting, in front of a TV or computer) is extremely unhealthy. Lack of physical activity is a contributing factor with many cancers. You don't have to become a professional athlete, but do become more active. Dr. Weil recommends walking 45-minutes a day, five days a week. If you can't do that at first, start with what you can and slowly work your way up to that goal. Also, if your work requires you to sit at a computer all day, take frequent breaks to stand up, stretch, walk around the office, go to the bathroom, etc. Get adequate sleep. A long-term lack of adequate sleep compromises your immune system and plays a role in developing high blood pressure, heart disease, type II diabetes, and even several forms of cancer. Getting enough sleep on a consistent basis really is a must for your health. Think a minimum of seven hours of sleep every night. You may be able to "get by" with less, but you are harming your body's ability to fight cancer and other diseases. Drink plenty of water. Staying well-hydrated helps your body cleanse itself of toxins and helps your immune system function efficiently. NOTE: Tim Gamble is not a doctor or other medical professional. Information provided in this article is not meant to diagnose or treat anyone, but rather is intended only as "food for thought" and general advice for healthy living. If you suspect you may have cancer, please consult with a medical doctor as soon as possible. The Resource Miser is a twice-monthly series dedicated to helping preppers, survivalists, and homesteaders to use their resources much more efficiently and sustainably, thus enabling them to both save money and build self-sufficiency. Radical Resource Efficiency is the concept of using all available resources in a manner that is both highly efficient and sustainable. What is Resource Efficiency? Resource efficiency is using all your available resources - money, food, water, energy, electricity, gasoline, land, and raw materials - in ways that are not wasteful, but rather maximize their availability and benefit to you. It means using all your available resources wisely, both now and over the long-term. What is Sustainability? Sustainability is the science of using all available resources in a way and at a rate that does not deplete those resources over the long-term, thus assuring their availability both now and in the future. Sustainability includes both the wise (efficient) use of resources, as well as the replenishment (renewal) of those resources. What Resource Efficiency and Sustainability are not: Unfortunately, the word "sustainable" in all its forms has been adopted by both marketing companies and leftist ideologues, along with similar terms such as "green" and "eco-friendly." Beware of their use of such terms because they have distorted the meanings to suit their own agendas (profit or power). Resource efficiency and sustainability are good ideas, and ultimately do benefit both people and the environment. However, these concepts are best implemented voluntarily from the bottom up, rather than imposed from the top down. This helps ensure that the implementation of these concepts are based on what actually works, rather than on unrelated motives (profit, power, control). Reduce, Repair, Repurpose, and Recycle is one of the key concepts behind radical resource efficiency. Reduce through various means the amount of resources you consume. Repair worn and broken items whenever possible, rather than participate in the throw-away economy. Repurpose items for use in other ways, once their primary purpose has been fulfilled, or they can no longer be repaired. Recycle all materials that cannot be repaired or repurposed. 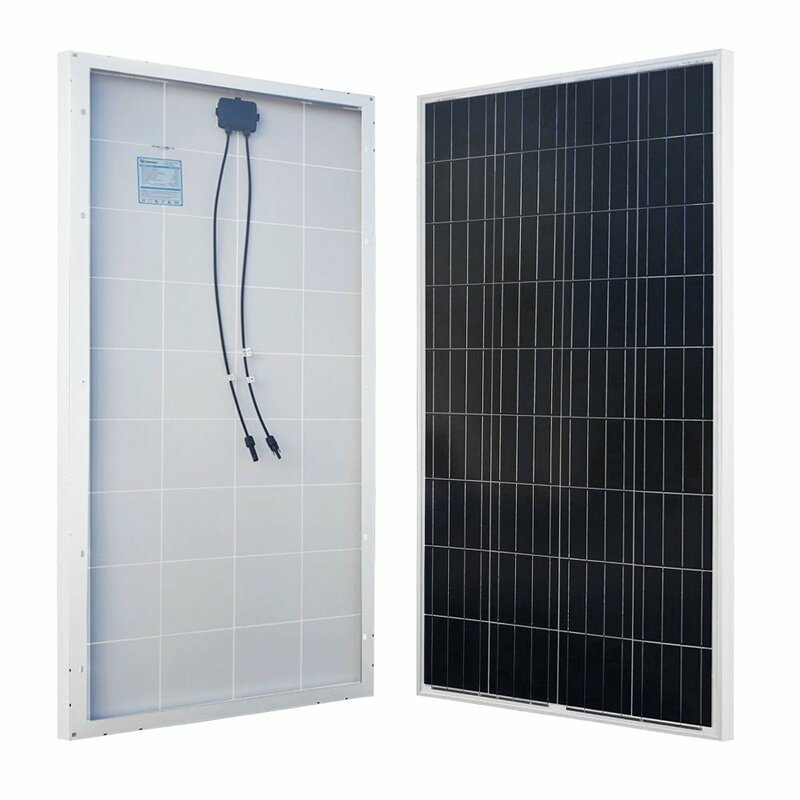 There are, of course, many other concepts which fall under the banner of radical resource efficiency, including solar & wind energy, harvesting rainwater, permaculture, composting, and the simplicity movement, among others. Please watch for future Resource Miser articles for more information and tips.